Colorado Poker – Is Online Poker Legal in Colorado? As it stands, online poker in Colorado is illegal. Like most of the other states across North America, iGaming prospects here aren’t dim but they’re not too bright either. Some might think that it’s just a done deal. Time for you to hit the back button and just forget about playing internet poker, right? There are plans to – AT THE VERY LEAST – tweak current Colorado poker laws in the next couple of years. And other forms of poker are okay, too – but with caveats. 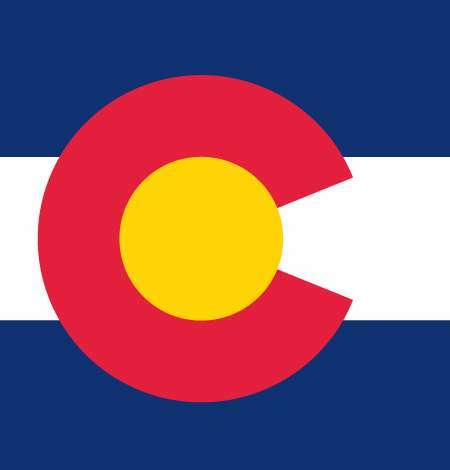 Legal Online Poker in Colorado Someday Soon? It is illegal to gamble online in Colorado – at least right now. In fact, in 2005 Attorney General John Suthers and Gaming Control Commission Chairman Natalie Meyer issued a warning about gambling online in Colorado saying that not only is it illegal, but it’s risky. That being said, the Colorado Gaming Association conducted a study in 2011. The results showed the state they might lose money if they don’t regulate online gaming sooner rather than later…or at all. Shortly following a bill was drafted to legalize online poker, but it faded away the same year. Nothing has been done since, but it’s clear that regulation is on the state’s mind. Right now their biggest obstacle – prior to regulation – is to figure out how to tweak their current laws. They have laws that limit how much you can bet to $100. That won’t work well with online poker (they think). In the meantime you can try to play online at offshore sites. There are risks in doing so. Clearly it’s not legal though thanks to UIGEA laws currently in place. But if you choose the right site you can play all kinds of poker games with no restrictions on how much you can bet. So you’re not limited to fixed or spread limit games — you can play no limit poker. Can You Play (Live) Casino Poker? Absolutely. In fact, this state has a very cool Reno or Old Town Vegas feel to it if you venture out to Black Hawk, Colorado. Including the properties at Black Hawk, there are more than 40 casinos scattered all over the state – and yes, some of them offer live poker. All these options – and many more if you play at a Black Hawk affiliated casino – offer tournaments and cash games. Keep in mind there’s a limit to how much you can bet, though ($100). So the cash games will offer spread and fixed limit betting only. The good news is this should help stretch your bankroll further and have a little bit more fun in the process. What Are Colorado’s Home Poker Game Laws? Like most states Colorado’s view on home poker games falls under the ‘social gambling’ laws. You can play your tournament or cash game with your buddies. You can even win money from your pals – with a smile. However – the moment you start charging a tourney fee or collecting rake from each hand is the moment you cross the line in the sand. How Does Colorado’s Gaming Future Look? Bright. Much better than other states we’ve looked at so far. According to my research it looks like we might see some kind of legislation from Colorado in the next couple of years. In fact, they’re one of a dozen or so states expected to pull the trigger on regulating online gaming. The funny thing is this is a state that’s already made online gambling illegal. But, apparently, they work up, smelled the coffee and realized they’re leaving money on the table – maybe even losing it, considering how many players probably play at offshore sites. That’s money that could be in their pocket – on top of the $100 million they earn each year in potential tax revenue from their brick and mortar casinos. And since the state considers poker a game of skill (or at least have seen legal cases won with a ‘poker is a skill game’ argument), maybe it won’t be a drawn out process.